View of earth horizon from space . Cropped, color enhanced, shade enhanced, sharpened, and stars background added. 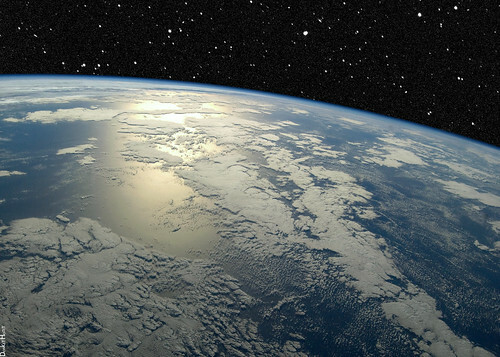 The source image for the earth is a photo in the public domain from the Image Science and Analysis Laboratory, NASA-Johnson Space Center. "The Gateway to Astronaut Photography of Earth." The source image for stars in space is a photo in the public domain from NASA/JPL.